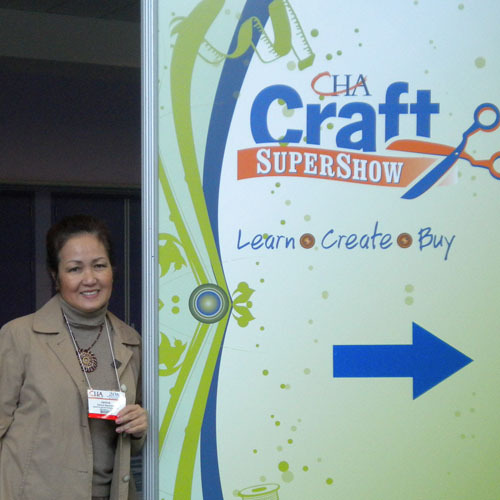 Today, we set up our table at the Craft and Hobby Association Trade Show (CHA), can you tell we are excited? I’ve never been to one before so forgive me If I am over enthusiastic, I will probably be talking about this for days, up until Wednesday, at least. I was star struck when I get to met book authors and artists that I only get to watch on youtube. 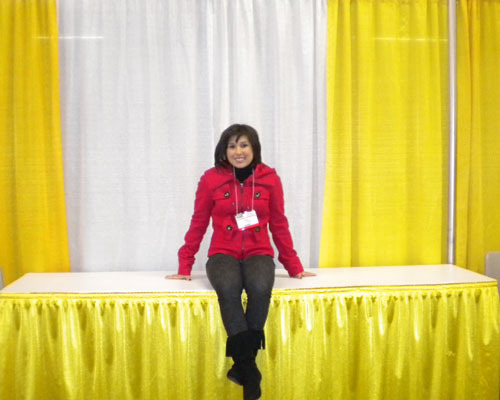 This is our table, we are at the New Exhibitor’s Section. The very first thing we put up there is our banner. 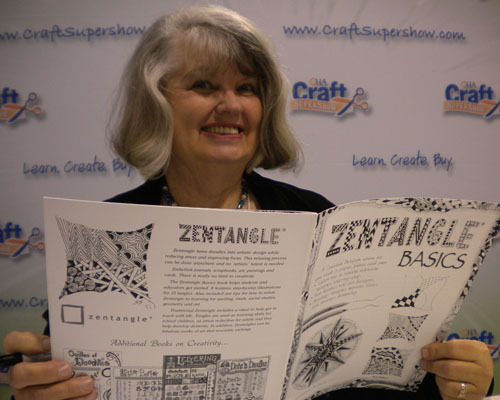 I met Suzanne McNeill, author of Zentangle Basics in case you have not heard about zentangles please check her out. 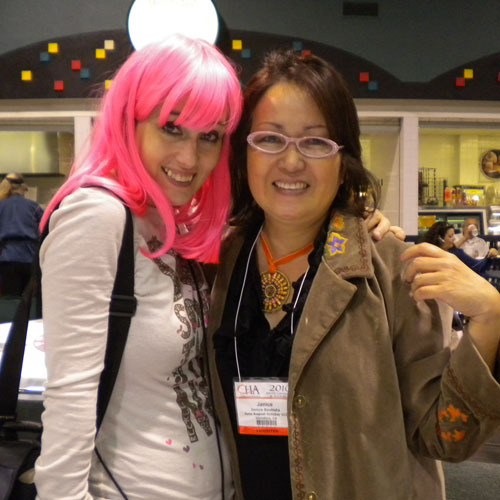 I was tickled pink when I met Suzie Blu, she is a mixed media artist and I am a huge fan! She was nice and patient enough to pose with me. I have to get myself a pink wig just like hers.